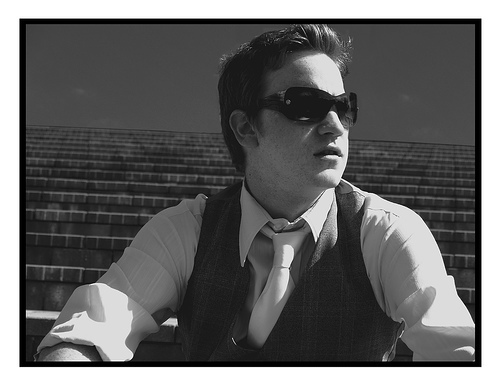 Jon Justice is a supremely talented young blues artist and songwriter whose time is arriving. He possesses a soulfulness that belies his youth. Jon was born in the Chicago, Illinois, area in 1982. His first formal music performance experience came as a teenager, when he toured nationally with bluegrass and Gospel groups. In 1999, he moved to Memphis, Tennessee, in order to be among others who shared his deeply felt musical sensibilities. There he joined with veteran pianist Steven Bowen, of Percy Sledge and Exile fame, to form The Recipe. They toured together between 2000 and 2003, doing hundreds of shows. In the subsequent course of his performing career, Justice has opened for Derek Trucks, Indigenous, Ten Years After, Silvertide, Tinsley Ellis, Watermelon Slim, Reverend Raven, Popa Chubby, Anthony Gomes, Guitar Shorty, Walter Trout and Jimbo Mathus. He has also played with and shared bills with music luminaries such as Buddy Guy, the Memphis Horns, Jerry Lee Lewis, Johnny Johnson, Jimmy Thackery, Pinetop Perkins and The Fabulous Thunderbirds. In October 2008, he shared a sold-out bill with Grammy winner Delbert McClinton at The Madison Theatre in Cincinnati. Jon Justice currently resides near the Cincinnatti area. He has been nominated for four Cincinnati Entertainment Awards: Best Blues Act, Best Live Act, and Best New Artist In 2007, Jon was voted Best Blues artist in Cincinnati and represented the Queen City at the 2008 International Blues Challenge in Memphis, TN. He was voted Best Singer / Slinger of 2007 by City Beat Magazine. He has performed at a number of national festivals, including the 2008 Cincinnati Blues Festival and the 2006 Blues and Heritage Festival, formerly known as the King Biscuit Blues Festival, in Helena, Arkansas. Jon’s well-received debut album, Forget About Time, was released in 2004 and combines two hallmarks that define the Jon Justice sound. The first is an unusual depth and breadth of musicality that can evoke many influences yet at the same time be deeply original. The second is his ability to engender musical experiences that range from rousing anthem-like compositions that are rhythmically and lyrically irresistible, to honest, intimate songs that recall the private meditations and intimate moments shared between individuals. Jon’s sophomore release, The Rebound climbed to #8 on the Blues and Roots Music Charts, where it stayed for more than 12 weeks. Jon's already good writing had developed and matured, his personality came out even more, and he had two years of touring under his belt. But perhaps most importantly, Jon was writing about things he could believe in, Like "Brighter Day" which appears on Forgotten but Not Gone. Didn’t let perception of genre change his writing, Although his first record was good, the second one quantum leap ahead. Reinforces the promise he showed in the first record. Jon is currently producing a tribute CD to honor the memory of his friend Sean Costello. I am fortunate that I can claim Jon as a close personal friend. He is an exceptionally deep, sensitive, insightful, creative, original, and innovative human being, and all those qualities are right there in his lyrics and his wonderfully unique vocal delivery. Not only did he donate a song to this CD, he personally spent many long hours helping us promote it. I am honored on so many different levels to be a part of this compilation. As an artist, to even be swimming in the same pool with some of my heroes is a dream come true. As a human, to be given the opportunity to give back and help a region of our country that has given so much to us culturally and musically, is a very special thing to me. I dont feel like I merely contributed a song, it is much deeper than that to me. Watching people’s lives change for the better with just a little bit of kindness and work, CAN make a difference. This album is a testament to such kindness.